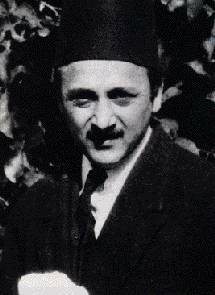 'Abdu'l-Bahá appointed Shoghi Effendi as the Guardian of the Bahá'í Faith and the only interpreter of Bahá'u'lláh's teachings after Himself. 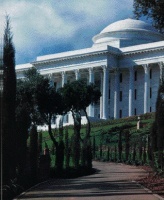 The Guardian guided the Bahá'ís for 36 years and developed the Administrative Order of the Faith throughout the world. He appointed 27 individuals for the task of promoting and protecting the Bahá'í Faith and gave them the title "Hands of the Cause of God". 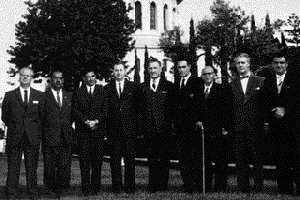 For 6 years after the passing of Shoghi Effendi the Hands of the Cause held the Bahá'ís together until the Universal House of Justice was established.